Nikita Pillai joined the UIC College of Medicine Mentors Program to get to know physicians and see what their daily lives are like. She shadowed a neurology resident, and had the chance to see her neuroanatomy coursework come to life in the clinic. “Working alongside my mentor has given me a chance to see how the things I’m learning now will be put into use just a few short years from now, and that’s pretty exciting,” Pillai said. 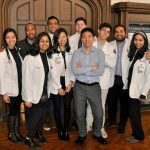 For the past 10 years, UIC medical students have had the chance to gain early hands-on training, thanks to the mentors program, which was founded and led for six years by Jennifer Kwan, a resident in internal medicine at UI Health and a graduate of UIC’s Medical Scientist Training Program. Kwan recalls one of the main drivers for developing the program. 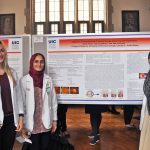 “Team-based learning and one-on-one interaction with early clinical exposure helps students shift away from lecture-based learning to experience-based learning, and helps students apply their course work to clinical medicine, reinforcing their knowledge,” she said. Chris Ochoa, a mentee in the inaugural class of the program who went on to be a program leader, fondly remembers the program’s influence on him during training. “The mentors program allowed me to be in the hospital witnessing the practice of medicine firsthand within months of starting medical school,” said Ochoa, now a pulmonary critical care attending physician in the Chicago area. More than 100 residents, fellows and students celebrated the 10-year anniversary during a symposium March 16. Over the past decade, more than 1,500 students, fellows, residents and attending physicians have participated in the program. Initially starting with 10 specialties, the mentors program has grown and now offers more than 20 specialty options for students, including neurosurgery, cardiology, dermatology, pulmonary critical care, orthopedic surgery, general surgery, radiology, anesthesiology and more. 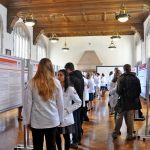 The program spans the entire spectrum of training, including first- and second-year medical student mentees, who receive feedback on write-ups and presentations of clinical cases they saw from fourth-year medical student tutors. Fellows, residents and attending physicians serve as clinical mentors to help tie in what mentees are learning in their medical school curriculum to what is seen in real-world clinical settings. “Knowledge in the medical specialties continues to grow at a rapid rate, and it has been insightful to see how new scientific insights have been incorporated into clinical practice over the past 10 years,” Kwan said. “Trainees are at the forefront of incorporating new evidence-based knowledge to improve patient outcomes. The program has offered opportunities to network with specialists and some participants have even gotten involved and successfully contributed to research projects. Darian Esfahani, a sixth-year neurosurgery resident at UI Health, has helped inspire the next generation of neurosurgeons. 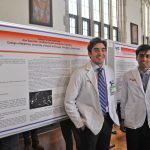 “The UIC mentors program is the perfect opportunity to introduce students at the start of their career to the art of medicine, and train them to approach residency and practice with courage, passion and humility,” Esfahani said. Esfahani has mentored about 15 students through the program, and has co-authored publications with at least 10 of them. 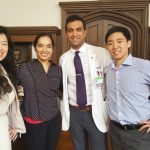 “We’ve had a definite upswing in the number of medical students who have applied to neurosurgery over the last several years, thanks to the mentors program, many of whom have matched at excellent, prestigious programs around the country,” Esfahani said. Fred Zar, internal medicine program director at UI Health and vice chair for education in the department of medicine, has mentored students since the program began in 2008. “One of the reasons we started this program was for the mentorship part — it does help you guide your career pretty well,” Zar said. Shaleen Vasavada, co-chair of the program, was a former participant who worked with a surgery mentor in the program. “By learning very early on what surgeons really do helps them decide what kind of doctor they want to be,” Vasavada said. 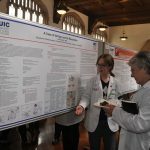 “The early exposure to faculty and resident helps our students navigate the path toward choosing a specialty and also provides an educational component, which, regardless of what specialties the students ultimately decide on, gives them a broad view of the field of medicine, an essential aspect during these formative training years,” she said. Jarna Shah is a third-year anesthesiology resident at UI Health and a former chair of the program. For more information or to participate, email mentorsprogram@gmail.com or view the group’s Facebook page.